Girard-Perregaux watch with 39 jewels. Product code: 1011 Categories: Sold Items, Sold Watches. 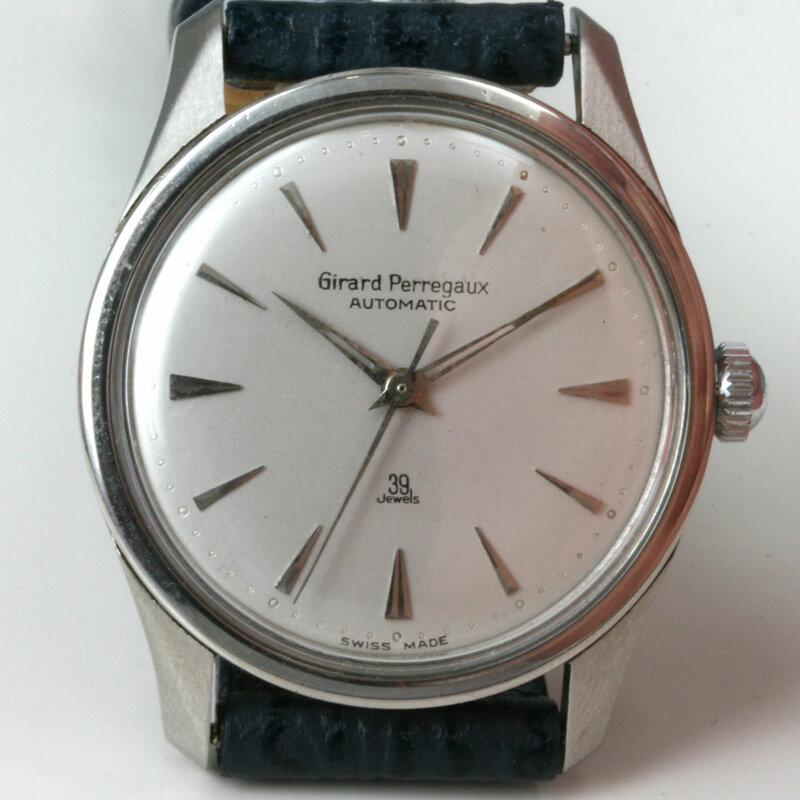 Here is a great vintage watch by Girard Perregaux with an incredible 39 jewelled automatic movement and dating from the 1970’s. Fitted in a stainless steel case which measures 33mm across and with a very easy to read and see dial, this is a watch that can be worn for all occasions. 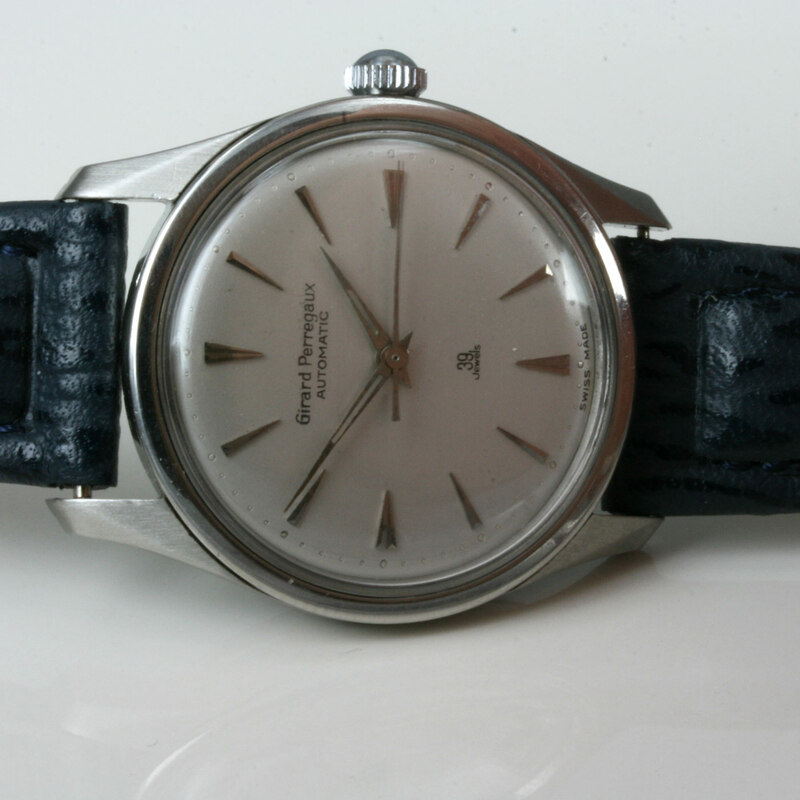 A great vintage watch by a great company with a highly jewelled automatic movement.